Surveilstar is comprised of Agent, Console and Server. Knowing this employee monitoring software's IT structure can help you to use this software better. SurveilStar computer/Internet monitoring system is composed of Agent, Server, and Console. 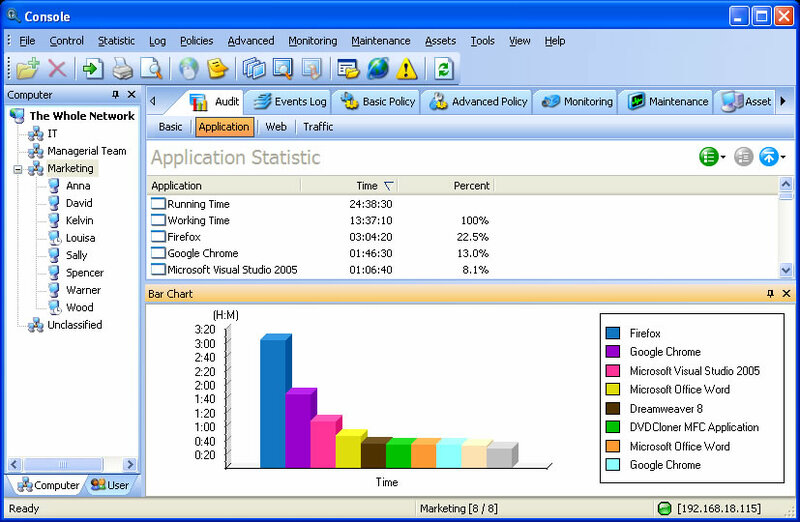 Agent is the monitoring application installed on target computers.Agents can be grouped, and then managed and controlled by group. Console is the control panel for administrator or supervisor.